The 5 Liter Still Spirits AIR STILL is an amazing piece of machinery, this compact and sleek stainless steel Air Still is designed for alcohol, water and oil distillate. The Air Still is extremely easy to use, requires no water and is powered by electricity making it great to use in your kitchen, boat, or camper-van. Prefect for distilling small quantities at one time. In New Zealand, home distillation of alcohol is completely legal without a license, and for those customers of ours, the following information does not apply. 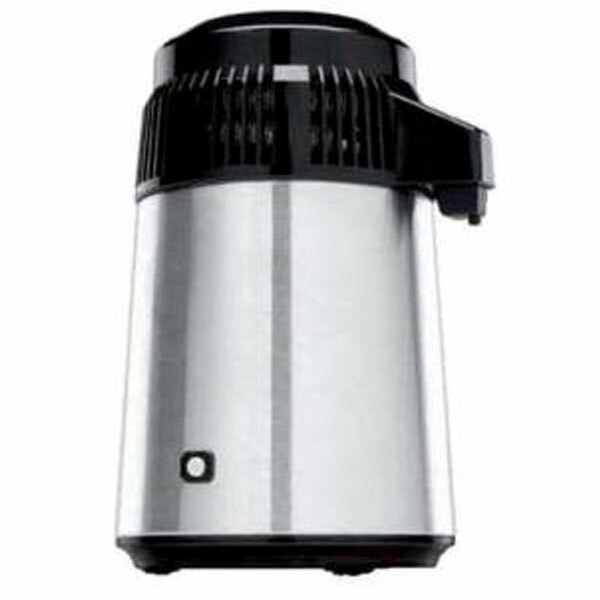 For all Australian customers, you can legally own a 5 liter capacity still (such as this air still) for the distillation of water or essential oils, without a license and without breaking the law. Please note however, it is ILLEGAL for you to distill alcohol in Australia WITHOUT an excise manufacturers license! We here at Aussie Brewer STRONGLY suggests you check the legalities of your country before purchasing distillation equipment. The Air Still Mini Distillery Kit contains everything you need to distill water, essential oil (minus the botanicals) and up to 2 L of vodka. This compact and sleek stainless steel Air Still is designed for alcohol, water and oil distillate. The Air Still is extremely easy to use, requires no water and is powered by electricity making it great to use in your kitchen, boat, or campervan. Prefect for distilling small quantities at one time. The Air Still Mini Distillery Kit comes with the items listed below in product description. Please scroll down for further information. This Starter Kit is everything you need to get started! This kit is perfect for both reflux and pot still distillation, as it comes with both a Copper Turbo 500 Condenser as well as a Copper Alembic Dome Pot Condenser. Both condensers work in conjunction with the same wort boiler, yet are used for two entirely different types of distillation! The T500 is a revolutionary design, is extremely easy to use, and is designed to produce excellent quality neutral spirit every time! The Alembic Dome Pot Condenser when used on the same boiler, and distilling a wash made using the Barrel 674 Distillery Kit (also in this pack), will create an authentic whisky spirit, like a true craft distiller! But it doesn’t do just whisky’s! Because the Alembic Dome is a Pot Still Condenser, instead of stripping flavours to give a clean neutral spirit (like the T500), this pot still retains and enhances the flavours created in your wash! This allows you to ferment a wash using molasses (for rum), malt and/or grains (for whisky), or wheat extract or potatoes (for vodka). Then distill this with much of the flavours from the wash, coming through in the finished spirit! For all Australian customers, you can legally own a 5 litre capacity still for the distillation of water or essential oils, or purchase a Condenser and Wort boiler separately (as is with this kit) without a license and without breaking the law. Please note however, it is ILLEGAL for you to distil alcohol in Australia WITHOUT an excise manufacturers license! We here at Aussie Brewer STRONGLY suggests you check the legalities of your country before purchasing distillation equipment. The Alembic Dome & Turbo 500 Copper Condenser + Equipment Starter Kit comes with the items listed below in product description. Please scroll down for further information. This Copper Turbo 500 + Equipment Starter Pack is everything you need to get started! Revolutionary design and extremely easy to use, the Turbo 500 Starter Pack will produce excellent quality every time! The T500 allows you to collect an astonishing 95% of the possible alcohol from the wash. This comes out at an amazing 93% alcohol purity which beats every other still on the market. Designed and assembled in New Zealand, the world's most advanced fractionating column for home use. It includes stainless Steel Construction, faucet adaptor for ease of water flow adjustment, boiler with 1800w integrated element, boil dry reset, thermal cut out fuse and waste discharge tap. The Turbo 500 Copper Condenser + Equipment Starter Pack comes with the items listed below in product description. Please scroll down for further information. This Stainless Turbo 500 + Equipment Starter Pack is everything you need to get started! Revolutionary design and extremely easy to use, the Turbo 500 Starter Pack will produce excellent quality every time! The Turbo 500 Stainless Condenser + Equipment Starter Pack comes with the items listed below in product description. Please scroll down for further information.